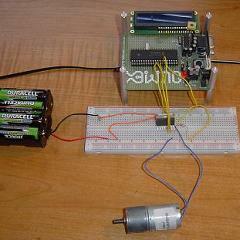 Previously we explored DC motor control using the LMD18245. Now, looking forward we’ll use a method for even better motor control using the infamous L298. Specifically the L298HN (makes things even easier), Check It Out! may i know the motor will run? becoz i read from l298 datasheet, it should work.